Poster Frame | 11 x 17 | Snap Frame | Classic | Zachar Display Inc.
11 x 17 Poster Frame Classic is equipped with aluminum snap mechanism. 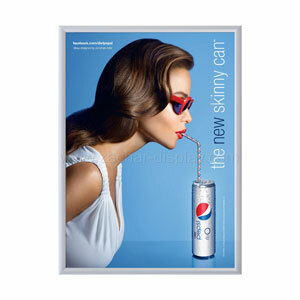 Snap opening and closing of aluminum edges provides easy poster change. There is a poster protection film included in each frame. This UV Stable anti-glare PVC protects your poster message from fading. Outside size: 12.25" x 18.25"